Jemsbooks | Writing – Loving What I Do and Doing What I Love! How Far is Heaven is a novel I wrote several years ago in between working. It came to me one night in a dream. It kept repeating in a dream nightly until I began to write it down. This is a paranormal/romance/mystery that will capture your heart! Keep the tissues close by. One thing that all parents are frightened about is anything happening to their children. It was difficult to write this story since I was constantly putting myself in the position of the mother. I poured my feelings into it because I knew how I would feel. Tears were shed during and after this was completed. I hope you enjoy this book as much as I enjoyed writing it. It may make you a believer of angels and help from on high. This book is also available on Barnes & Noble. I recently received a lovely review from DG Kaye that put me on Cloud 9! Thank you, Debby, and all those readers who have read and reviewed this book or any of my other books. Your reviews are appreciated and needed! DGKaye 5.0 out of 5 stars Suspense, Family and Compassion April 5, 2019 Format: Kindle Edition How Far is Heaven offers a great mix of mystery, romance and angelic messages.A seemingly happy couple – Parker and Priscilla are broken up by a tragic incident when Parker ventures out for a business trip but never returns home. Priscilla finds help with trying to find her missing husband from a compassionate police Sargent, Blake, who makes it his mission to solve the mystery of her missing husband. Lorraine Price 5.0 out of 5 star Stunning Portrayal of a Father’s Love and Protection For His Child Even After Death June 14, 2016 Format: Kindle Edition I absolutely loved this story! I even read it twice. It started with a hook and kept me intrigued the whole way through. I really liked the plot, the romance, the danger, and the ending. There was no dragging. It took me a minute to get all of the nasty boys’ names placed with who and what they were doing, but I just had to back up and re-read it to figure it out. There is a lot of action taking place in this book, and I didn’t want to put it down. Get your copy today! Sarah Reviews 5.0 out of 5 stars A Satistfying Read! July 28, 2016 Format: Kindle Edition The ever-talented Janice Spina does it again. Like in her other books, whether written for young children, teens or adults, “How Far is Heaven” hits the mark. You’ll find it all in this entertaining book; suspense, emotions, good values, and a satisfying ending that fills you with anticipation for Spina’s next creation. Highly recommended. P.S. Winn 5.0 out of 5 stars Great mystery suspense connected to a wonderful spiritual journey June 24, 2017 Format: Kindle EditionThis is a beautiful story with a great ending. Patricia Wilfork is a happily married woman. So, when he husband mysteriously disappears she is lost for an answer as to why. Along with her two children, Patricia tries to rebuild her life still not knowing what happened to her husband. When Patricia’s daughter also disappears the story twists and turns with a spiritual edge and readers are taken on a great journey. The author does a wonderful job mixing the spiritual aspect with a mystery thriller that will please readers of all genres. Mystery, suspense, family morals, and a bit of romance made this novel well worth reading. Also intriguing, was the supernatural element of the story. I definitely look forward to the next novel by Janis Spina. I was also honored to see my name on the dedication page. Thank you so much for stopping by to learn about my novel, How Far Is Heaven. Thank you for your support. 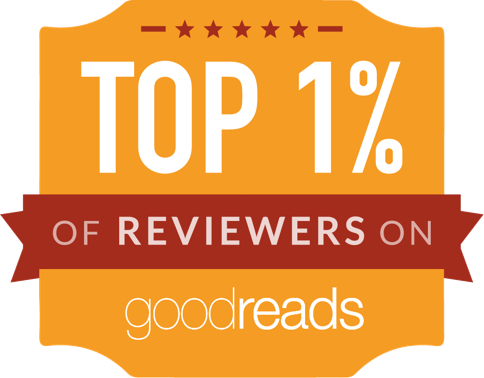 Please leave reviews for authors wherever you purchased their books. We authors will love you for them! Thank you kindly for your support! I am so excited to introduce my newest book in the Davey & Derek Junior Detectives Series – Book 6, The Case of the Mystery of the Bells, for both boys and girls! As with all Jemsbooks, my husband, John, created the beautiful cover and catchy chapter illustrations that add character to my story. Thank you, John! This book will be available soon on Amazon as paperback and kindle e-book and Barnes & Noble as paperback. 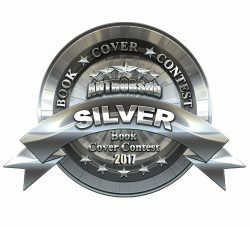 This award-winning (7 awards) series now has six books to enjoy. Here is a collage of all the books including the Abby & Holly series too. This series is dedicated and written for my two middle grandsons who are now 12 and 14. They love to read mysteries. They are my inspiration to continue writing in this series. All Jemsbooks for young children and for MG/PT/YA carry life lessons. This new book is no exception. Readers will learn that it is important to respect others/elders/parents, be kind to each other, family and friends are important, love one another, believe in oneself and be the best you can be. I believe that it is important for children of all ages to read daily in order to increase their knowledge, keep them healthy in mind, body and soul, and help develop their creativity. Also, read for the pure joy of it! Thank you for stopping by to read about my new book! Watch for a new book in Abby & Holly Series, Book 3 coming in the summer. Also, for the younger children in your life keep a close watch for a dragon series coming this summer, book 1 and books 2-6 in 2020! There’s always more stories running around in my head! I just have to find the time to write them all down! Wish me luck doing that! Please leave a little love for authors by reviewing their books. It doesn’t have to be a long review. It could be two words if you like. (Great Read! or Wonderful book! or Loved this! Highly recommend!) We authors will love you back! Thank you for your kind support! REMEMBER: READING GIVES YOU WINGS TO FLY! SOAR WITH JEMSBOOKS.COM! HAPPY READING! READING IS GOOD FOR YOUR HEALTH! To children everywhere Easter is jelly beans, bunnies, plastic eggs filled with candy and money, baskets full of chocolate and all things that are sweet and delicious. To adults it has more meaning – Christ has arisen! It is a time to reflect on our own self worth. It is a time to put our best foot forward in God’s image. It is a time to teach our children the real reason for Easter and Passover. It is a time to be kind and caring and carry this theme throughout the year. It is a time to love one another and accept our differences. It is a time to encourage our children to be the best that they can be. It is a time to do all we can do to make our world a better place. It is a time to pray to God to give us the strength and courage and conviction to do all the above. I pray that everyone will have a blessed and Happy Easter and Passover! My peace lily has two flowers to share for Easter. My cactus is doing its best to send along some flowers for Easter. For that I am thankful! It also flowers around Thanksgiving and Christmas. Here are some Easter flowers to perk up your spirits. In the photo below you can still see some snow patches outside my backyard. I positioned the Easter Lily in front. Hopefully all the snow will be gone by Easter Sunday. Here is a lovely Easter Flower Basket that I plan to share on Sunday with my family. Thank you for stopping by! It’s always nice to see you! Come by again soon! Please excuse the promotion below. Couldn’t help myself. I had to mention how important it is for children to love one another not just today but every day. A perfect book for Easter is Lamby the Lonely Lamb – about a purple lamb. Check it out on Amazon. I wrote it for my granddaughter when she was only four years old. She is now nine! Time does fly! This book teaches children to be kind to one another and accept differences of color. Happy Reading! Reading is good for your health! Blessings of the season to you and yours and lots of hugs! My peace lily has two flowers for Easter! First time! I first wrote Abby & Holly Book 1, School Dance followed closely by Abby & Holly Series, Book 2, Unfortunate Events in 2018. I wrote these books for my granddaughter who is now nine years old and enjoying them. Watch for Book 3 coming later this year with more ghosts and adventures, secrets, and surprises that will appeal to all! These books carry life lessons for middle-graders/preteens/young adults such as: love one another, be kind to others, respect parents and elders and each other, accept differences, help others in need, bullying is never accepted or tolerated, and family and friends matter. This is a series that is fun to write. It’s like I am a preteen/teen again. I was requested by one of my readers who enjoyed my Davey & Derek Series to write a series for girls. Both series are suitable and enjoyed by girls and boys. Abby & Holly were first introduced in Book 5 of Davey & Derek Junior Detectives, The Case of the Sad Mischievous Ghost. The girls will appear from time to time in Davey & Derek Series and the boys will appear also in Abby & Holly Series. There is fun for all ages. Even adults are enjoying these books and reviewing them then sharing them with their kids and grand kids. 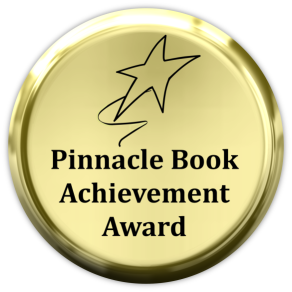 Abby & Holly, School Dance won a Pinnacle Book Achievement Award. Both books are available on Amazon and Barnes & Noble. This is Book 1 of a series of Abby & Holly books. These two girls were first introduced in Book 5 of the Davey & Derek Junior Detectives Series.The girls are first cousins on their mothers’ side. They moved to the quiet town of Lindon, New Hampshire and live in a grand old Victorian which is haunted. The cousins are excited about attending the 6th grade dance. When their friend, Justine, is bullied, Abby and Holly, along with the help of a ghost and Davey & Derek, work together to formalize a plan to put a stop to the bullying. Michelle Clements James 5.0 out of 5 stars Loved the anti-bullying message. July 8, 2018 Format: Kindle Edition I have long been a fan of Janice Spina’s young children’s books and her middle-grade Davey and Derek Junior Detectives series. I was excited to read the first book in her Abby and Holly series for middle-grade girls, and I was not disappointed. Mrs.D. 5.0 out of 5 stars Say hello to the Abby and Holly series! July 24, 2018 Format: Kindle Edition Move over, Davey and Derek? Or maybe not… The duo is back, and the girls and boys are taking the world by the horns with another thrilling adventure! The haunted house! The mysterious ghost! The undying friendship! Good life lessons! And no more bullying! Abby and Holly are cousins. The girls were first introduced in Book 5 of the Davey and Derek Junior Detectives series. Janice Spina has beautifully blended two separate series in her new book, which is meant to entertain and educate middle grade readers. This time she sent two girls to solve a mystery that was quite intriguing. While trying to be just normal students, team members are dealing with serious issues so common for sixth graders: jealousy, intolerance, and bullying. The story is fun and adventurous, but the author smartly implants very important seeds that touch on problems so familiar for a middle school audience. In this new book, Abby and Holly team up with their friends Davey and Derek, two shy but very experienced young detectives. The team needs to find out who is sabotaging one of their classmates, Justine, who plans her sixth grade school dance. Fearing that the girl is being bullied, the team members work closely with each other and their friends. The story is sweet. It flows smoothly, just like other books from this wonderful author, which manages to surprise the young readers with perfectly developed characters and a wise plot. Even if the readers haven’t had the chance to get familiar with the Davey and Derek series, they won’t feel lost or have a hard time connecting the new story to Davey and Derek. And just like me, I hope the girls and boys will jump into the new adventures with a touch of fantasy, mystery, and some stronger feelings like love, forgiveness, and being kind to each other. 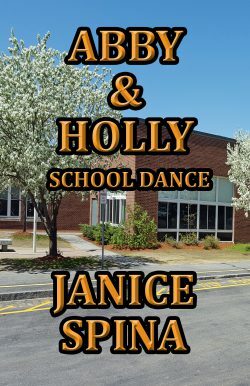 “Abby and Holly: School Dance” is one of those books that will make children feel good about themselves. The lessons of friendship and kindness are nicely incorporated into a fun story, which will put a smile on children’s faces. Trouble. Solution. Sweet first love. Friendship. And kindness. All of these qualities are in one book for young readers to enjoy. Yes, Justine is bullied, but she has a strong group of friends behind her, which helps her to overcome the fear of bullies. And with the help of her friends, the bullies may change their attitude too. I am delighted that this book carries strong messages about the importance of being compassionate, kind, loving and accepting. It teaches teens to remember how they would feel if their places were reversed. 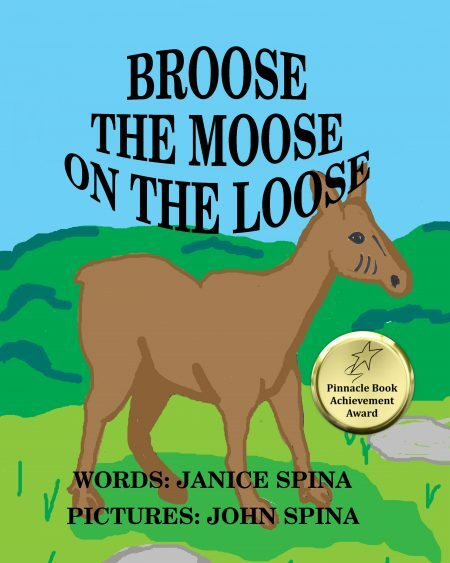 Another entertaining and teaching series for middle schoolers by Janice Spina* I received this book as a gift from the author and chose to review it without compensation. Deanie Humphrys-Dunne 5.0 out of 5 stars An entertaining book with a valuable lesson!July 19, 2018Format: Kindle EditionI loved Janice Spina’s new book “Abby and Holly, School Dance.” The writing style made you feel like you were enjoying the adventures of Abby, Holly and their friends. You’re sure to smile at the twins Derek and Davey’s shyness around Abby and Holly. It’s a delightful story. Trouble comes when one of their classmates, Justine, mysteriously becomes sick. How is the mystery solved? When Justine is bullied, how does the group of friends encourage the bullies to change their behavior. 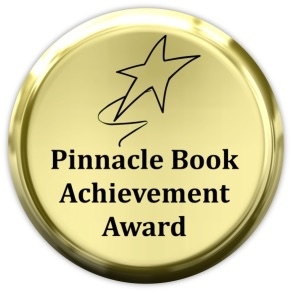 This is an enjoyable book teaches, families, and teens are sure to love and they are likely to remember not only the entertaining adventures, but the important message the story shares. Another wonderful book by Janice Spina. SM 5.0 out of 5 stars The First in A Wonderful New Series July 9, 2018 Format: Kindle Edition The prolific author, Janice Spina, who introduced the lovely duo, Abby & Holly, in the fifth installment of the Davey & Derek Junior Detectives Series, has given their friends, first cousins Abby & Holly, their own adventure. In the first book of what will no doubt be another entertaining series for middle schoolers, Abby & Holly are excited to attend the 6th-grade dance. But not everyone is happy at school. Abby & Holly discover that their friend Justine is being bullied. The two girls, helped by their sixth-grade dance partners (no other than Derek & Davey), and the girls’ resident ghost, come up with a plan to protect Justine and bring bullying to a stop. Michele Rolfe 5.0 out of 5 stars Newest detectives July 4, 2018 Format: Paperback Thrilled to see the girlfriends of Davey & Derek having their own adventures, too!! Abby & Holly were introduced in Book 5 of Davey & Derek Junior Detectives “The Case of the Sad Mischievous Ghost.” Abby & Holly are 1st cousins. Their moms are sisters! John Spina, as he is known to do for all of Mrs. Spina’s creations, enhanced the book with a lovely cover and wonderful illustrations. It was a joy to read!! Reader Mom 5.0 out of 5 stars Fun Series Starter March 13, 2019 Format: Kindle Edition This clean, wholesome book is a fun starter to a series about two 6th grade cousins that should appeal to both girls and boys. The book features cousins, Abby and Holly, and the dates to their first dance, twins, Derek and Davey Donato, who have their own series for young readers. I thought the “twin telepathy” elements were a nice touch and enjoyed the messages on friendship and anti-bullying that the book portrayed. Michelle Clements James 5.0 out of 5 stars A Stellar Book With Important Lessons October 20, 2018 Format: Kindle Edition I am so excited about the Abby and Holly Series for girls, but it could be equally enjoyed by boys. 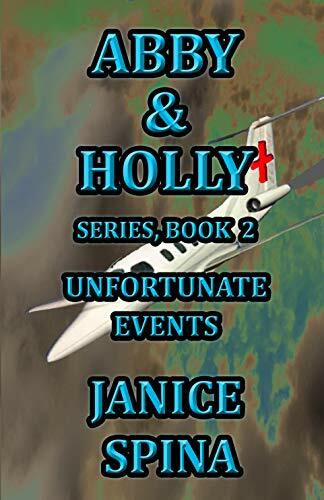 In Abby & Holly Series Book 2: Unfortunate Events, Abby’s cousin, Holly, is faced with some difficult issues. While her parents are away on overseas jobs, Holly is living with Abby. Things go downhill when her parents return for a visit and her mother becomes ill. Throughout this trying time, Holly has a tremendous amount of support from Abby, her Aunt Jane and Uncle Bob, and two ghosts who live in Abby’s house, Felicity and Minerva. Of course, their friends Davey and Derek are there to help, too. 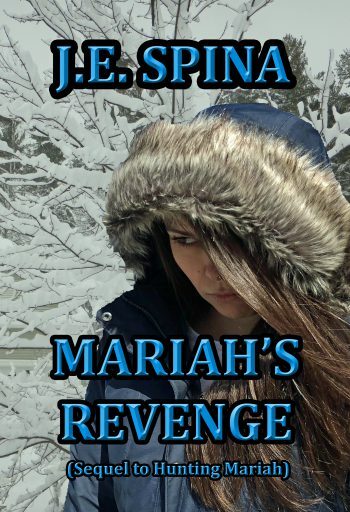 Michele Rolfe 5.0 out of 5 stars Unfortunate Family Events October 16, 2018 Format: Paperback Poor Holly, Abby’s cousin on their mom’s side, is having to deal with alot of unfortunate events with her family. Thank goodness she has Abby, Davey & Derek the Junior Dectives neighbors, & 2 awesome ghosts, Felicity & Minerva, to help her get through it all! Holly is thrilled her mom (Abby’s mom’s sister) & dad have come home for a visit from their overseas job, but things go downhill when mom gets sick. Great book to read with your youngsters about dealing with family issues. The ending is a nice twist & could lead to the next book! 5 out of 5 stars Girl power! October 16, 2018 Format: Paperback Another fun read from Janice Spina! So nice to see Holly and Abby back again in book two. The girls continue to face new issues, friends, and adventures together. A great read for pre-teens! Thanks for stopping by to learn more about my MG/PT/YA books. I hope you will check out these and other books by Jemsbooks. Thank you for your support! 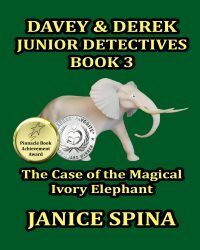 Read Davey & Derek Junior Detectives Books 1-6 for #fun #adventures #magic #mystery for both boys and girls. Adults love them too! They are good wholesome fun for all ages! Watch for Book 6 coming soon!!! I began writing these books in 2015 with Books 1 & 2, in 2016 came Books 3 & 4, in 2017 along came Book 5 and in 2019 I completed Book 6. All these books carry life lessons that encourage children ages 9+ to be kind to one another, love one another, show respect to parents, elders and each other, family and friends are important, bullying should never be accepted or tolerated, and accept differences. My inspirations for this series are my middle two grandsons. They love mysteries and enjoying reading. I will continue to write more of these books with their inspiration. My goal with this series is to encourage middle-graders, preteens and young adults to realize the importance of family values. These books are all about family relationships between the main protagonists, Davey and Derek Donato, twin detectives by their own design. Chapter illustrations and covers by John Spina. Will Davey and Derek be able to solve this mystery of the bells? Where do they turn? Will they be able to put all the clues together? Can they use their new birthday gifts in this adventure? Find out what the boys do in this magical mystery. These books can be read by any age from MG to adults. Many parents and grandparents have reviewed them and mentioned that they look forward to sharing these books with their children and grandchildren. Robbie Cheadle5.0 out of 5 starsAn action packed magical adventureFebruary 24, 2018Format: Kindle EditionVerified PurchaseThis is book 3 in the Davey & Derek junior detective series and it is the best one we have read to date. Michael loves these two adventurous boys and the addition of some real magic in their lives really added to his enjoyment of the tale. Magic wands and books in the hands of 11-year old boys really captivated him and my Dad has made him a wand out of wood, painted metallic blue, so that he could have one too. Davey and Derek learn the history and story of Aunt Gigi’s ivory elephant and discover some of this figurines magic. They are concerned for the safety of this figurine when they hear that a similar type of figurine has been stolen from the local museum. Certain local boys seem to be implicated in the crime and when a school peer asks the twins to help solve the case, Davey and Derek are thrilled to oblige. The boys embark on an exciting adventure to unwind the clues relating to the case, with some help and some confusion being provided by their magic books birthday gifts. I would recommend this book for middle school children. My rating is five out of five stars. 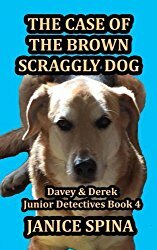 Mrs.D.5.0 out of 5 starsShare the Magic!February 8, 2018In her fourth book, “The Case of the Brown Scraggly Dog: Davey and Derek Junior Detectives Series,” Janice Spina has created an impressive mystery story that carries on the thrilling adventures of two brothers, Davey and Derek. The friendly leading characters and thrilling adventures provide plenty of excitement and magic to young readers. Davey and Derek are now experienced young detectives who have a few solved mysteries under their belts. But this new mystery about the scraggly dog would be not so easy to solve if not for Aunt Gigi and her crystal ball and her magical way of teaching boys how to travel. What the boys discovered at the end of the story surprised me the most. Well-executed ending of the gripping mystery! As in her previous books, the author provided plenty of life lessons for children. Janice completed her goal with the most valuable teachings about respect, compassion, and understanding. She wisely underlined the purpose of her series, lessons that are very needed for middle school children. Thank you so much for stopping by to read about my MG/PT/YA books. Jemsbooks is truly for all ages! Thank you for your kind support! I wrote Clarence Henry the Hermit Crab in 2016. This story is based on a real life hermit crab that lived in a salt-water fish tank in our home. Clarence was a different kind of crab. My husband, John, purchased him from an aquarium store. He came to us minus a claw and one leg on the right side. In the book cover below you can see a small claw beginning to grow on his right side. Having only one claw did not stop Clarence Henry from doing all that a crab can do. He was a joy to watch in action and quite a character. He is no longer with us but is missed for all that he did to keep our tank clean. This story is written in rhyme to delight children and has colorful illustrations throughout the book plus bonus photos of Clarence Henry himself. Book cover and illustrations by John Spina. Available also on Barnes & Noble. There once was a hermit crab named Clarence Henry. Who lived in a tank with fish aplenty. He came to his new home missing a leg and a claw. But fortunately for this there is no law. Now Clarence Henry stays deep in his shell. Until one day he’ll be whole again and well. Clarence Henry is different from other hermit crabs. He came to his new home minus one claw and a leg. He needs to protect himself until he can grow new appendages. Will Clarence Henry be able to meet the challenges in his new water world? Clarence Henry was a real aquatic hermit crab who lived in a saltwater fish tank in our home. We watched him interact with the other creatures in the tank. He was resilient, intelligent, and a joy to have as a pet. We took some photos of him as he grew his claw and leg and changed shells. We shared these photos and facts about hermit crabs in the back of the book. I hope you will enjoy them. This book will make a wonderful resource for classrooms. Children will learn an important lesson when reading about Clarence Henry. They will see how hard he works to do his job cleaning the fish tank of debris at the bottom. They will learn that it’s okay to be different even when others do not accept you. You just work harder to prove yourself and be proud of who you are. Mrs.D.5.0 out of 5 starsIn the Water WorldJanuary 28, 2018Format: Kindle Edition“Clarence Henry the Hermit Crab” is a wonderful story, based on a true story supported by real pictures. Apparently author Janice Spina and her husband, the illustrator, took real pleasure in observing this resilient creature in their fish tank. The hermit crab was their pet, which was missing a claw and one of his legs. The story disclosed a few challenges that newcomer met while growing his new claw and leg. Smart, hardworking, and tough, the courageous crab dealt with his disabilities bravely as he moved ahead to his full recovery. He worked hard, keeping himself busy cleaning the tank and getting along with other occupants in his new home. The photos and facts about hermit crabs that the Spinas share with the readers are educational and entertaining. The facts about the life of these resilient water creatures are an extra bonus. This book will make a good, useful source for teachers and homeschooling and readers like me, people who have no knowledge about the crabs. Clarence Henry teaches children to have patience, dedication, and stay strong while going through their own tests. The ailing crab did not give up. Instead, he worked hard and bravely overcame his obstacles. He may have felt different from the other occupants in the tank, but it did not stop him from focusing on his goal. As in other inspiring books by the Spinas, children will enjoy this book for many reasons: a true teaching story, educational facts, fascinating photos, and the message this book conveys. Never, never, never, never give up! Deanie Humphrys-Dunne5.0 out of 5 starsAnother wonderful book by Janice and John Spina!January 25, 2018Format: Kindle EditionJanice and John Spina are a great team. You won’ t be disappointed in their latest book, Clarence Henry the Hermit Crab. When you first meet Clarence Henry, you’ll see that he’ shy because he doesn’t have one of his claws so he’s different from everyone else in the tank. But Clarence is focused on his job, keeping the tank clean. Even when Clarence Henry is losing is shell and isn’t feeling well, he concentrates on his work. What happens after Clarence Henry gets his new shell? Young readers will love the story and the bright illustrations, while they learn lots of important facts. After children finish the story, they’ll find interesting things at the back about hermit crabs. It’s a fun, educational book you won’t want to miss. * I received an advance copy of this book and chose to review it without compensation. 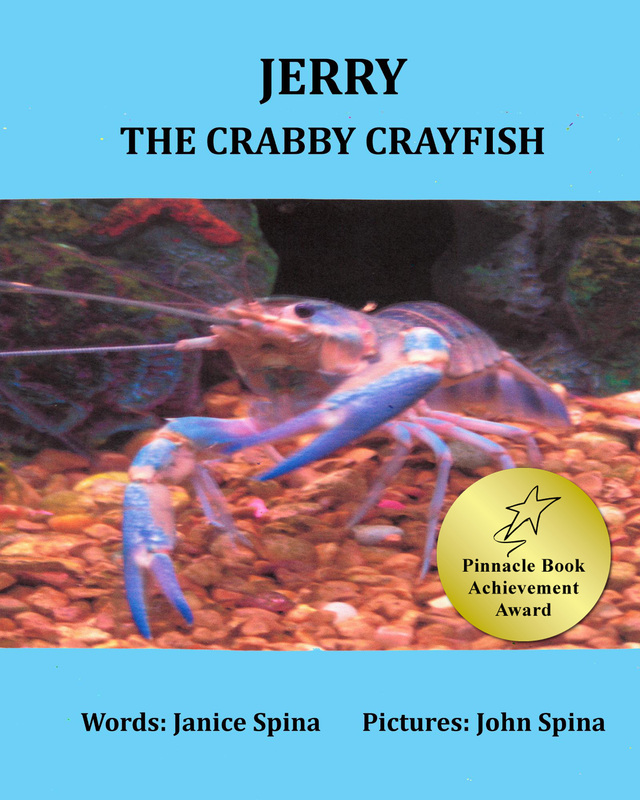 SM5.0 out of 5 starsThe hermit crab’s challengeJanuary 28, 2018Format: Kindle Edition”Clarence Henry the Hermit Crab” is another lovely creation by author Janice Spina and illustrator John Spina, whose relatable stories entertain young children while they also convey important messages. The protagonist in the Spinas joint venture is a hermit crab challenged by a lost a leg and a lost claw, who must manage until his missing appendages grow back. Added bonus: Interesting facts about hermit crabs at the end of the book. A wonderful addition to the JEMBOOKS growing library of books for children. 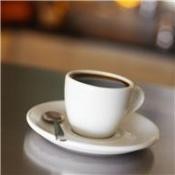 Thank you so much for stopping by to learn more about my books and the life lessons that are incorporated in each one. We parents need all the help we can get guiding our children in the right direction so that they will one day become kind and respectful adults. Please review books wherever you purchased them. We authors will love you for that! Thank you for your kind support!